Friday, April 6, 2018 - Today, the Arizona Smoke Free Business Alliance (ASFA), Arizona’s leading advocacy trade association for vapor and harm-reduction products and their related small businesses, announced it will be joining the Vapor Technology Association’s (VTA) multi-state campaign to save the vapor industry. VTA is the vapor industry’s premier public policy and advocacy organization based in Washington, D.C. and is the leading advocate for manufacturers, wholesalers, small business owners, and entrepreneurs who develop, distribute, support, and retail innovative and quality vapor products, providing adult consumers with a better alternative to traditional combustible nicotine products. ASFA builds on a tradition of cooperation in the advocacy arena, being a cooperative group formed from members of both the independent advocacy organization NAVB (the National Association of Vaping Businesses) and the former Arizona chapter of SFATA. The leadership and members of ASFA are confident that there are strong benefits to joining the ranks of VTA’s other industry leading state associations, including the Breathe Easier Alliance of Alabama, California Smoke Free Organization, Georgia Smoke Free Association, Smoke Free Alternatives Coalition of Illinois, Indiana Smoke Free Alliance, South Carolina Vapor Industry Association, Tennessee Smoke Free Association, Utah Smoke Free Association, and Virginia Smoke Free Association. 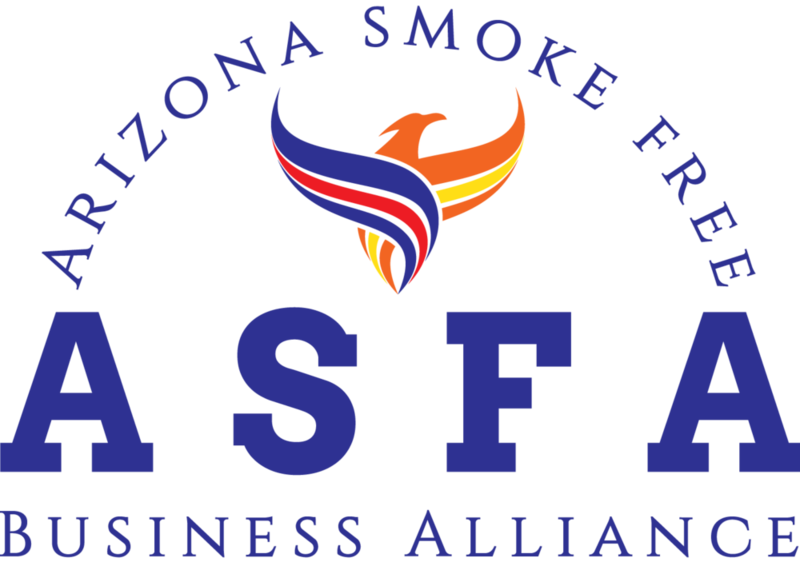 Wednesday, April 4, 2018 - Today, the Arizona Smoke Free Business Alliance (ASFA), Arizona’s leading advocacy trade association for vapor product related small businesses, announced it will be affiliating with the Smoke Free Alternatives Trade Association (SFATA) as an Affiliated Independent State Chapter. Standing as the voice of the vapor industry since its creation in 2012, SFATA has represented thousands of manufacturers, distributors, and retailers across the country. SFATA extends their national programming into states with the help of passionate members who organize locally to promote policy positions at the state and local level, while encouraging activism among local companies toward the federal priorities. ASFA builds on a tradition of cooperation in the advocacy arena, being a cooperative group formed from members of both the independent advocacy organization NAVB (the National Association of Vaping Businesses) and the former Arizona chapter of SFATA. The leadership and members of ASFA are confident joining SFATA’s Affiliated Independent State Chapter program will supplement the efficacy of their advocacy efforts in the state, as well as assist in financially strengthening the federal effort.